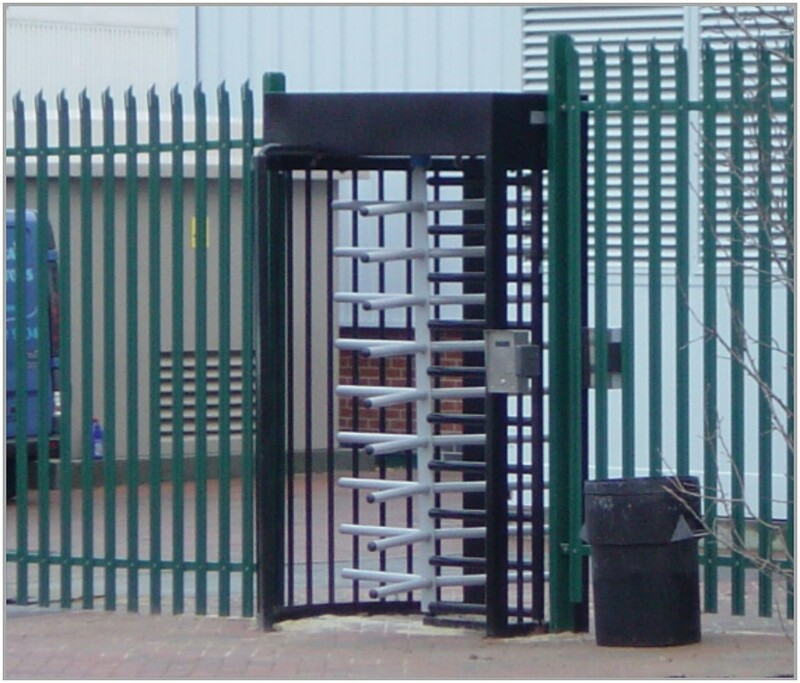 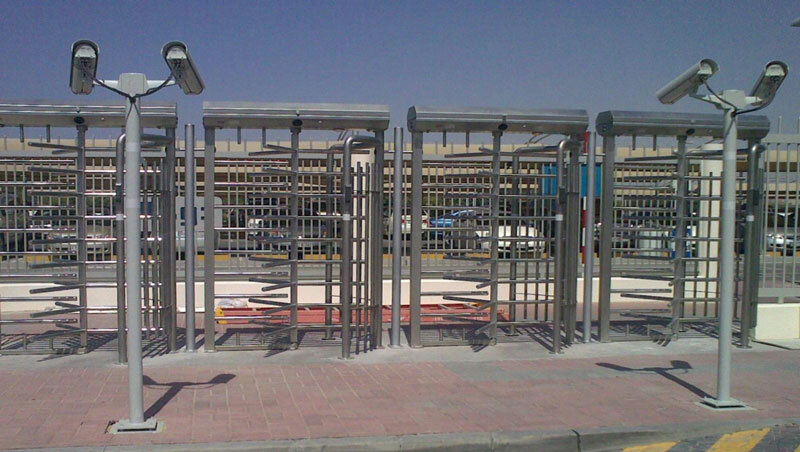 APS Full Height Security Turnstiles offer secure, efficient pedestrian traffic control. 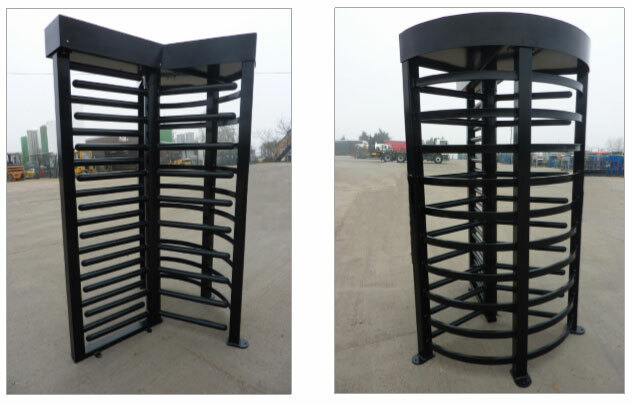 All turnstiles are designed and manufactured to the highest specification, using top quality components and materials to ensure ongoing robust, reliable operation. 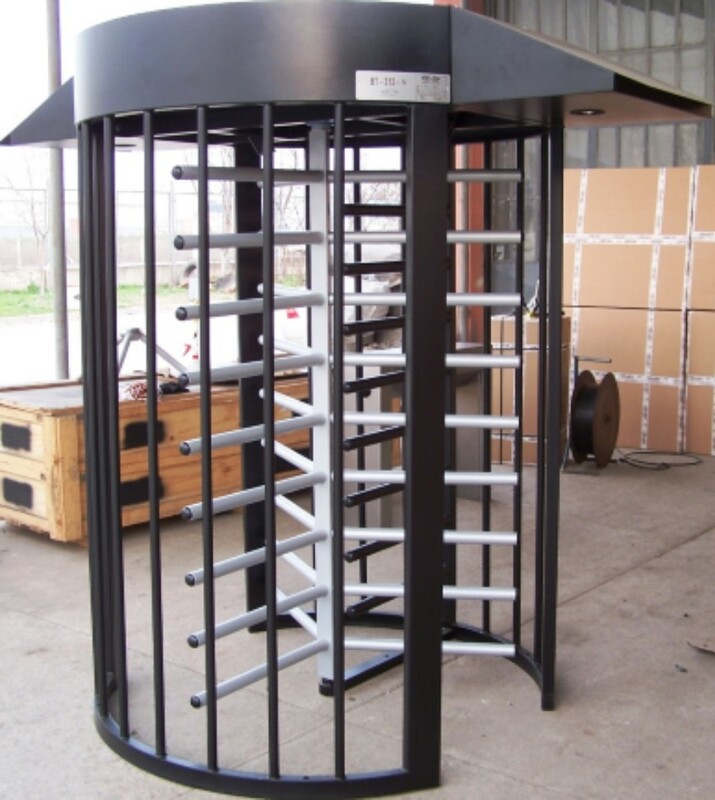 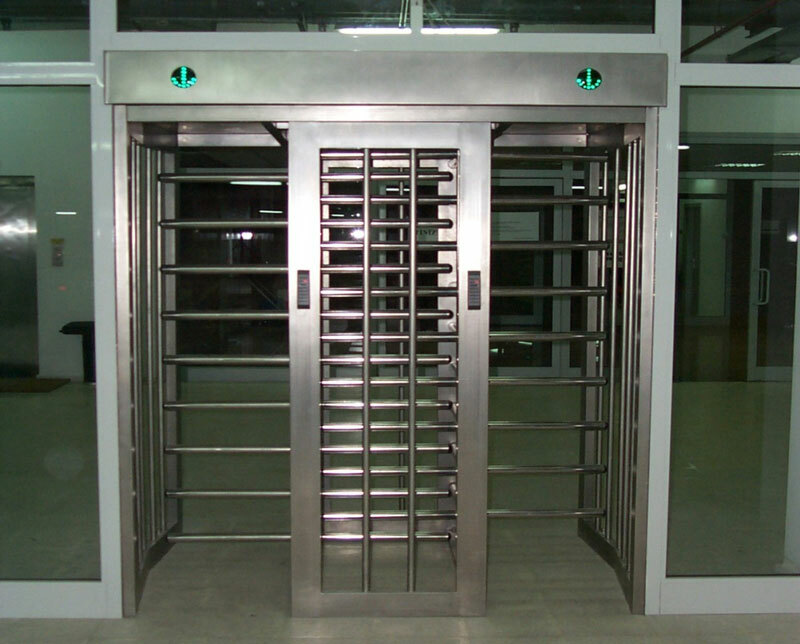 Contact us for the best turnstile prices UK and worldwide. 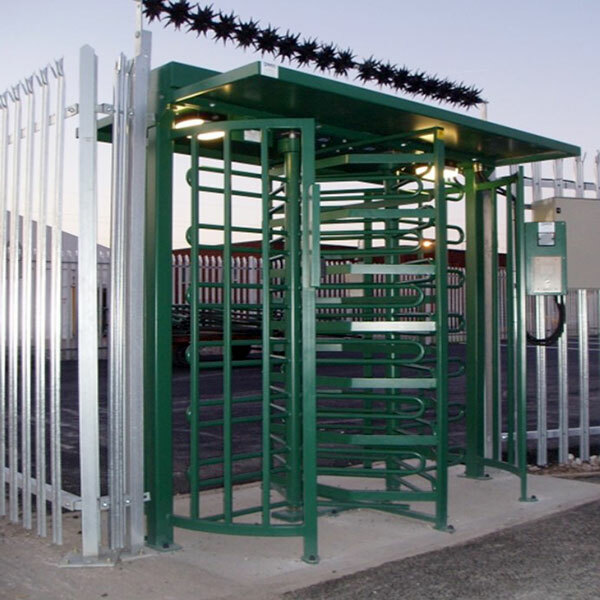 APS offer a range of single and multiple full height turnstiles designed for stadium and other high traffic applications. 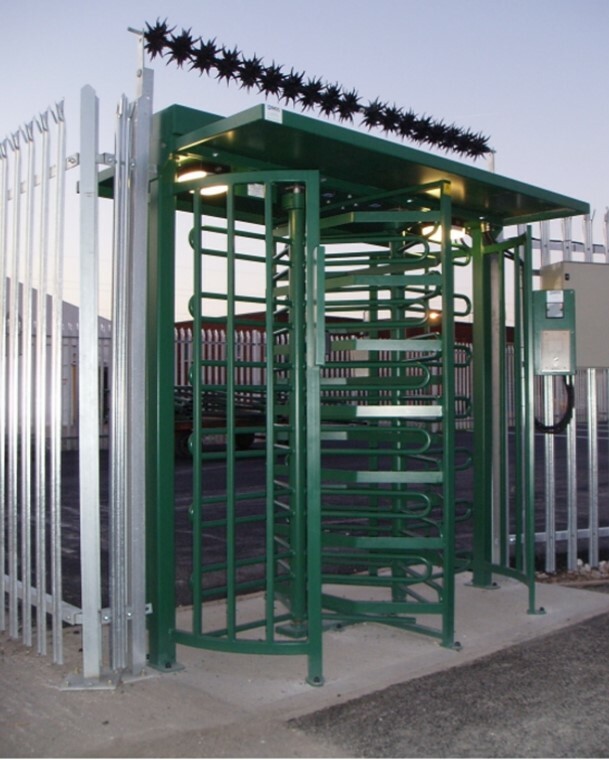 They are constructed from heavy gauge mild steel with an option for graffiti resistant stainless steel, with matching arms. 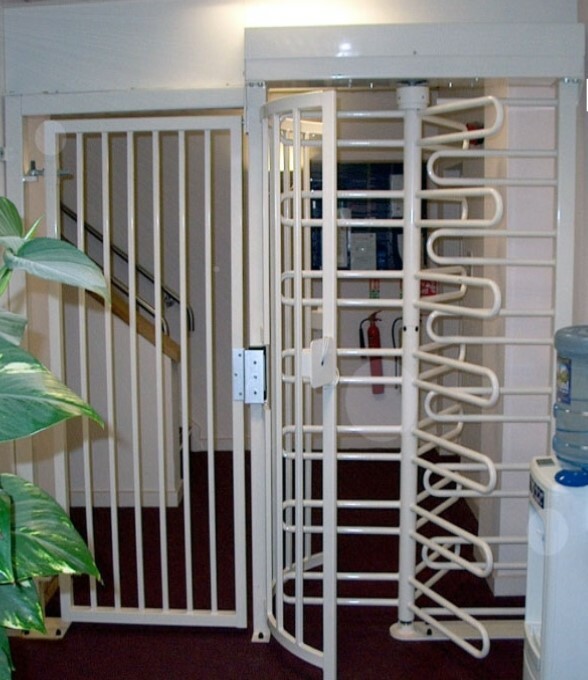 The 120 degree spacing allows high traffic flow whilst providing comfort for the user. 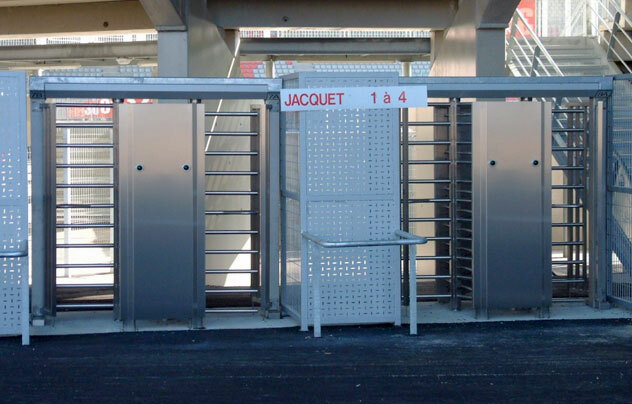 Turnstiles may be supplied as uni-directional or bi-directional with selectable entrance direction.